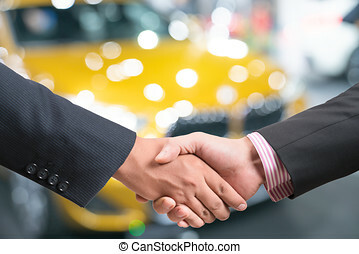 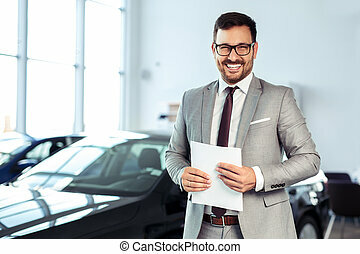 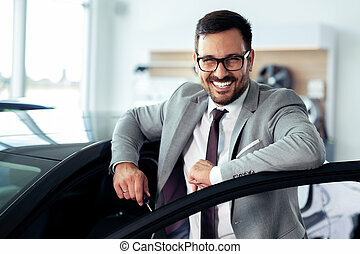 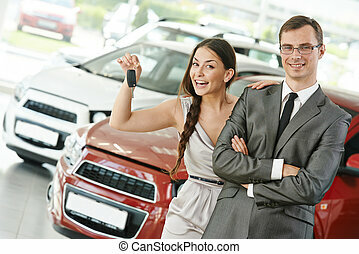 Car selling or automobile rental. 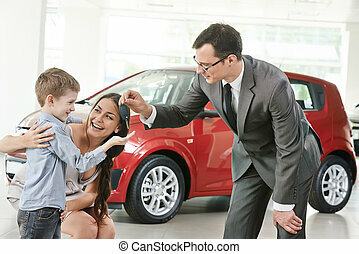 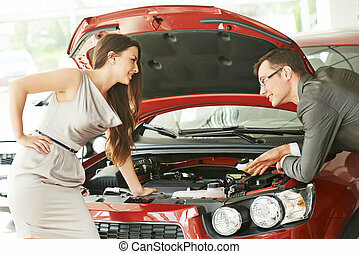 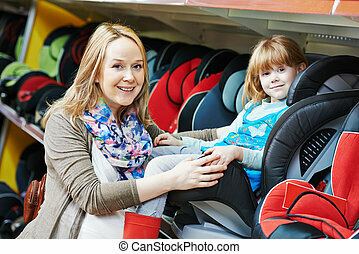 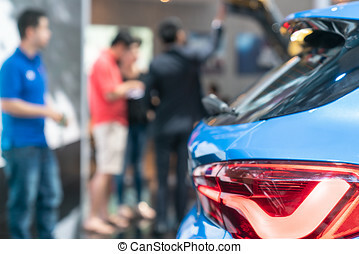 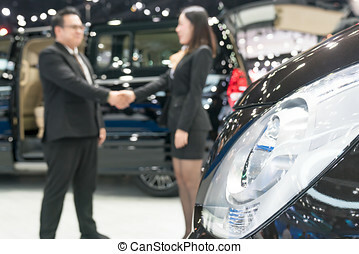 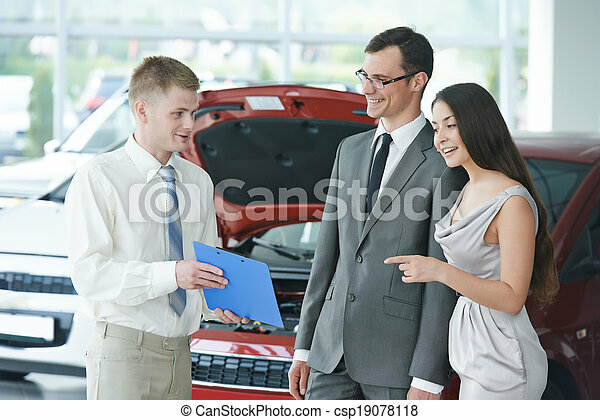 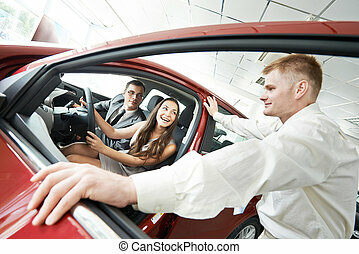 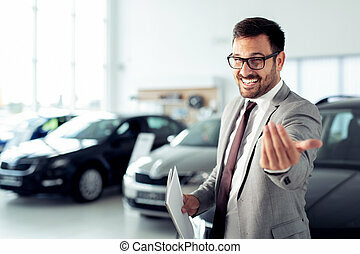 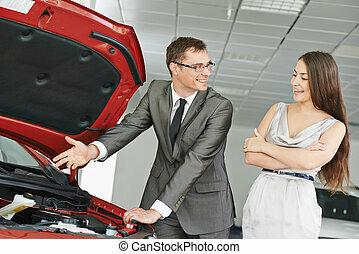 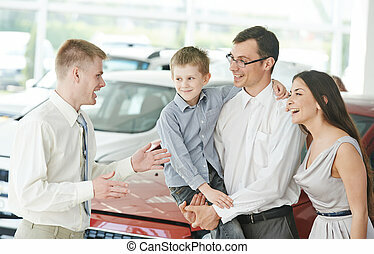 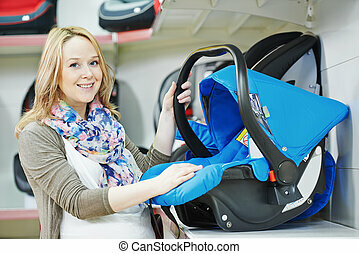 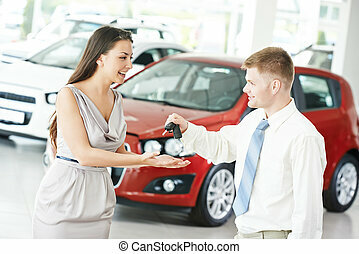 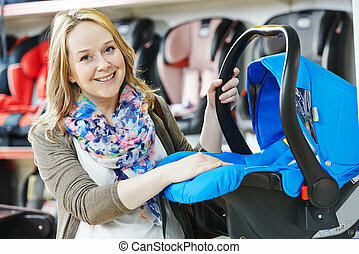 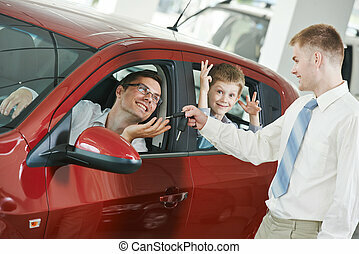 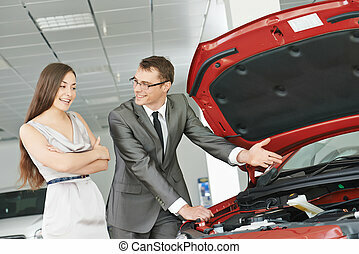 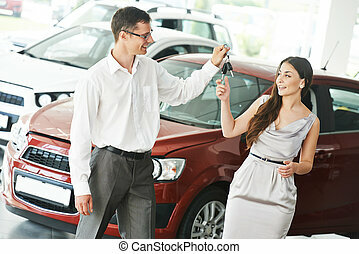 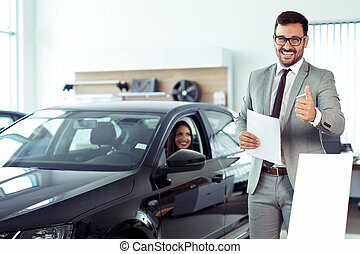 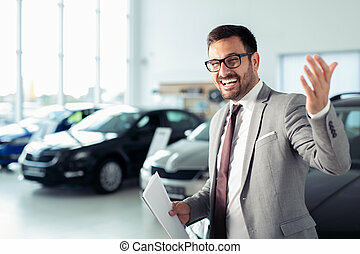 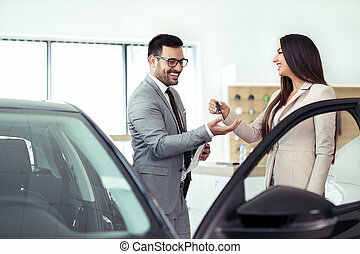 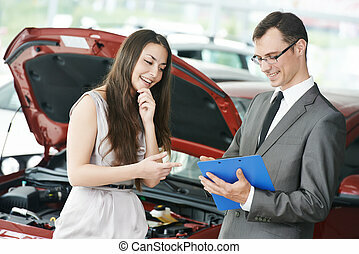 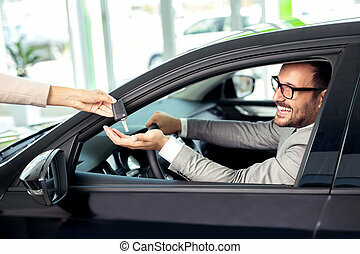 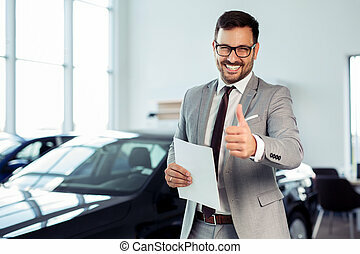 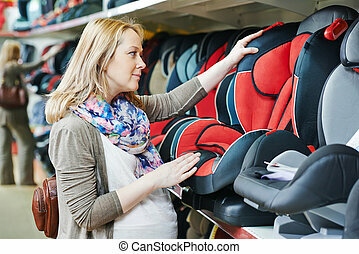 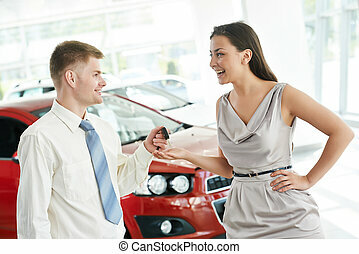 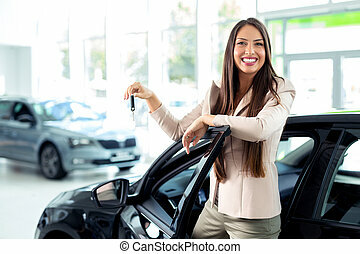 Car salesperson demonstrating rental or new automobile to young woman. 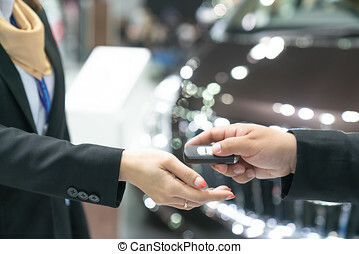 Successful female luxury car sales representative showing car key and business card in automobile trade fair. 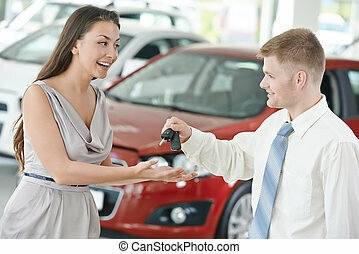 Beautiful brunette saleswoman outdoor.